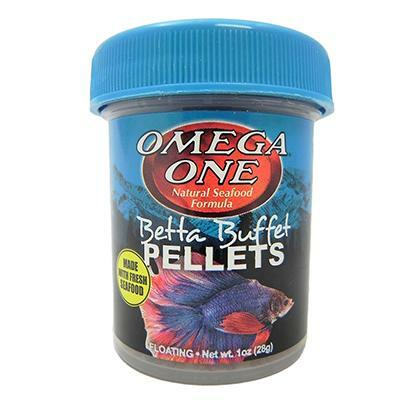 The fresh seafood ingredients in Omega One are particularly attractive to Bettas, since they thrive on a higher protein foods. 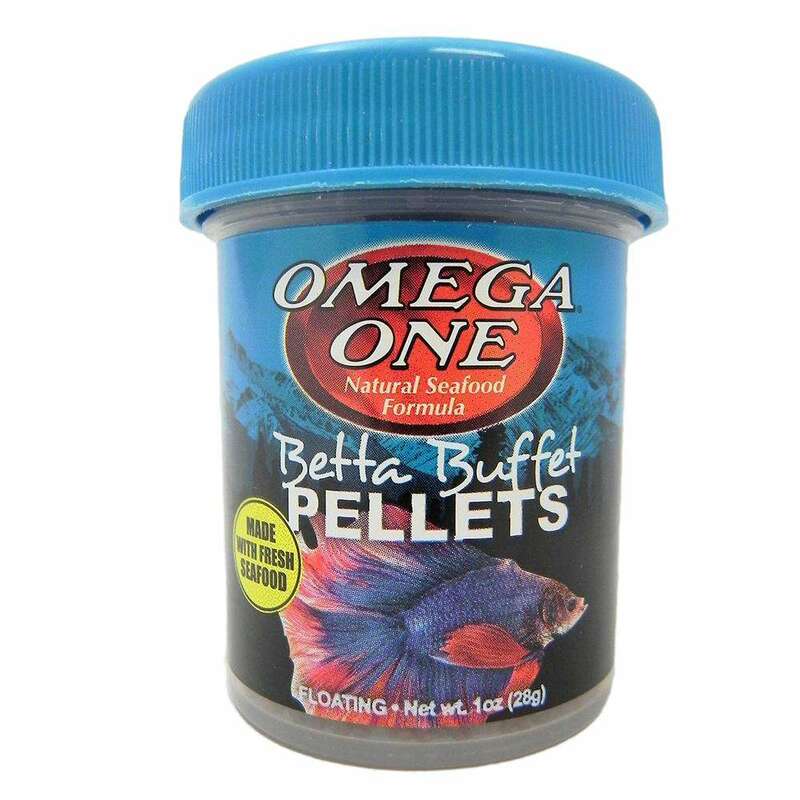 The cold water marine proteins and fresh omega fats in Betta Buffet Pellets make it a nutritional must for all Bettas. Additionally, the protein binder in Omega One, which is not water soluble, results in a much cleaner environment, especially in a small tank. .61oz container of micro-sized pellets. Whole Salmon, Halibut, Shrimp, Wheat Flour, Wheat Gluten, Fresh Kelp, Astaxanthin, Lecithin, L-Ascorbyl-2-Phosphate (Source of Vitamin C), Natural and Artificial Colors, Vitamin A Acetate, Vitamin D3 Supplement, Vitamin E Supplement, Vitamin B12 Supplement, Riboflavin, Niacin, Pantothenic Acid, Folic Acid, Biotin, Inositol, Tocopherol (Preservative), Ethoxyquin (Preservative).